Atlee sneaking cheese. I also snuck a lot of cheese. Just ask all my friends who grew up spending their summers on Long Beach Island in NJ. They’ll tell you how I apply sunscreen and ride waves and gracefully get in boats with the best of them! Just kidding. I once bruised my foot trying to get into a boat because I was scared I’d fall into the water so I just kinda…threw myself in there. 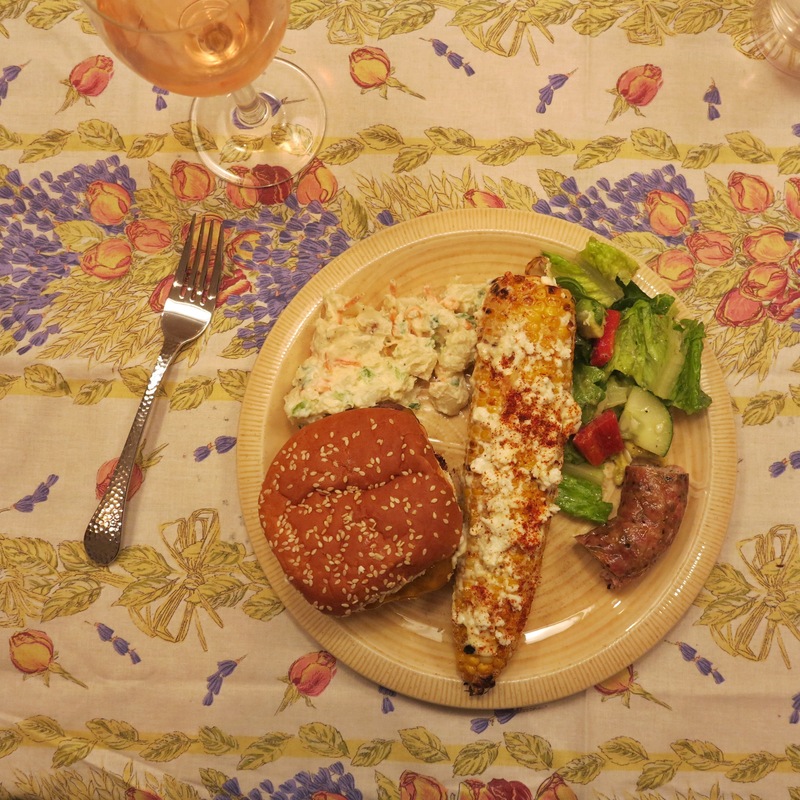 But I fit in enough and what I do excel at is planning and making laid back summer feasts. So, since I now spend so many weekends on LBI myself, I’m introducing A Pinch of Summer; chill, summer recipes that you can make after you’ve stopped by someone’s patio for a late afternoon cocktail or three. The measurements are a little more lax and the photos are a little more dusk-y because, hey, it’s summer and #beachvibes mean you just go with the flow. just look at how messy and creamy and good these look. To kick off this season, Atlee (y’all know her by now right, since everyone who reads this blog is also friends with her?) 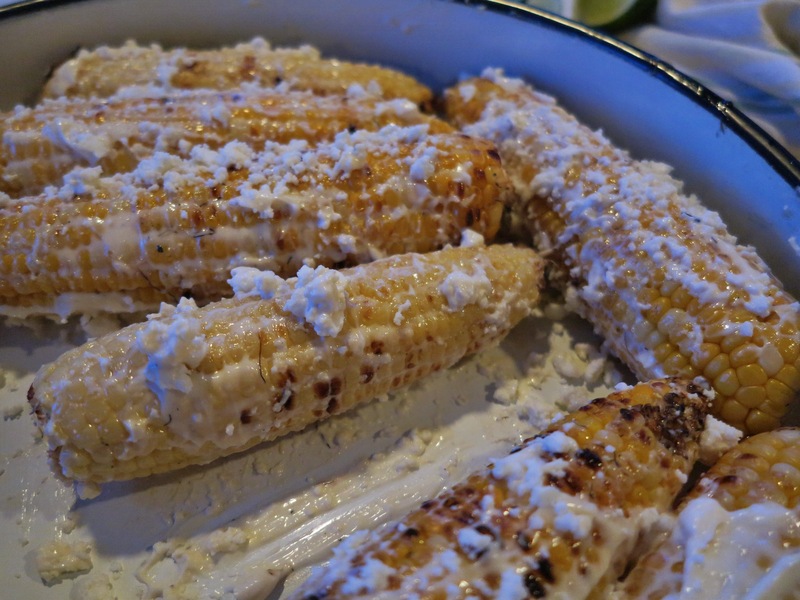 suggested elotes. I agreed wholeheartedly, especially when we walked into Fairway and the corn was on sale and beautifully yellow. 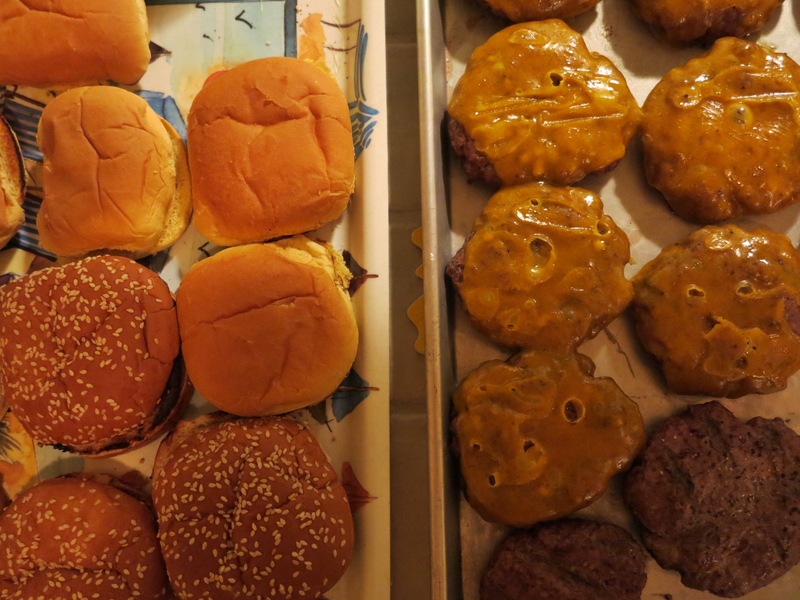 We bought our ingredients, packed them in an insulated bag and left the city at 9pm, skipping all the Memorial Day traffic, and we zipped down the Garden State Parkway to start our summer. We spent the weekend playing bocce, riding bikes, and spying on Joe Giudice (without his kids, I might add. Who is taking care of them, Joe?? Teresa is in jail!) 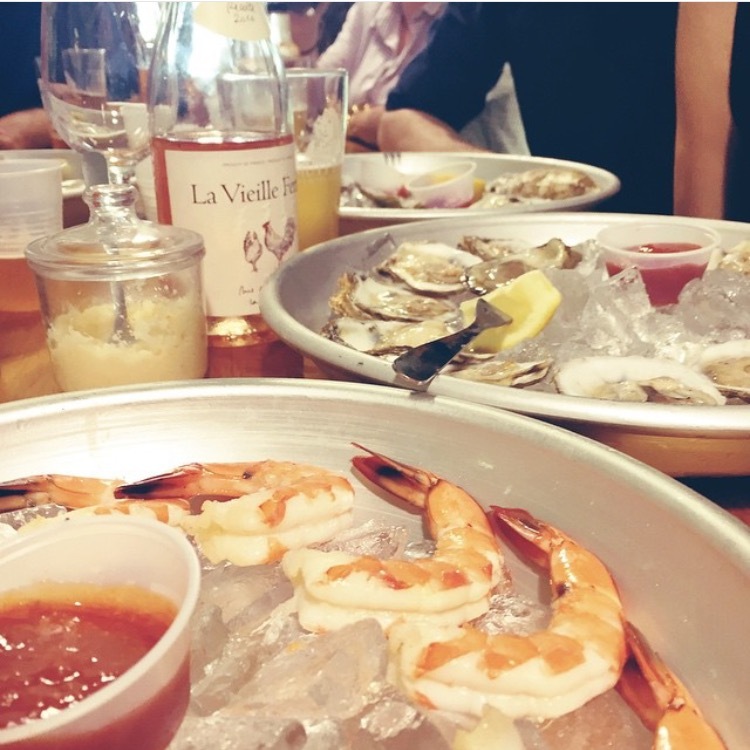 at the Triton Craft Beer & Oyster Bar while slurping oysters and sipping rosé. Well, full disclosure: I ate some juicy shrimp because I tried an oyster for the first time and it is not for me. The beach has been where I’ve learned, hands on, how to grill. I never do it when I’m home because my dad is such a wonderful griller. I watch him and ask him questions, but I leave it up to him because grilling has always seemed like such a skill to me. Even though I don’t mind testing new dishes out on my family, I don’t want to ruin the nice cut of steak that my parents provide for dinner by charring it on the grill. 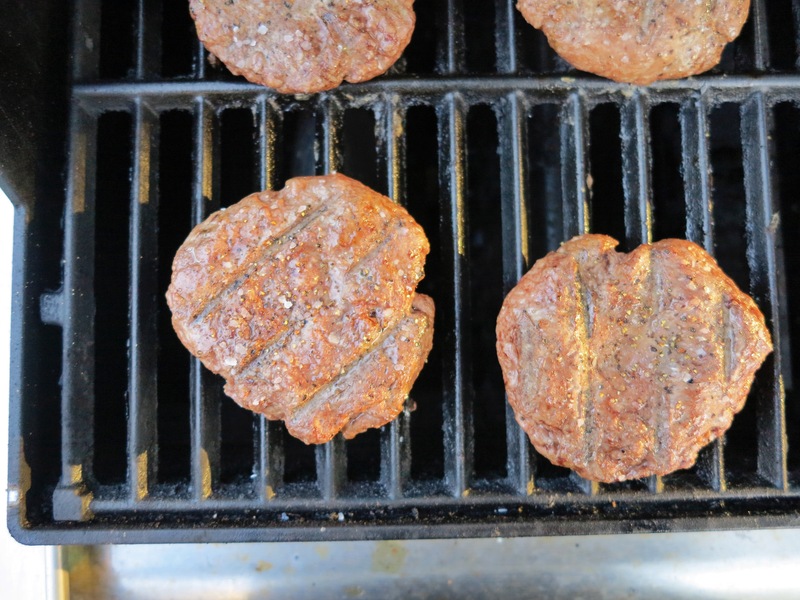 So, instead, I practice on flank steaks, salmon, and of course, burgers that we provide ourselves at the beach. 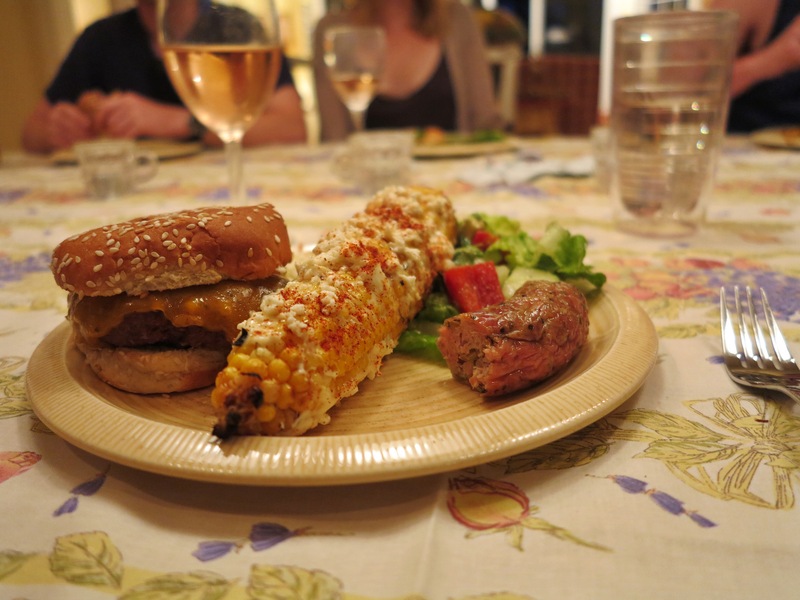 And not to brag or anything, but I made one of the best batches of burgers I’ve ever eaten to accompany the elotes. 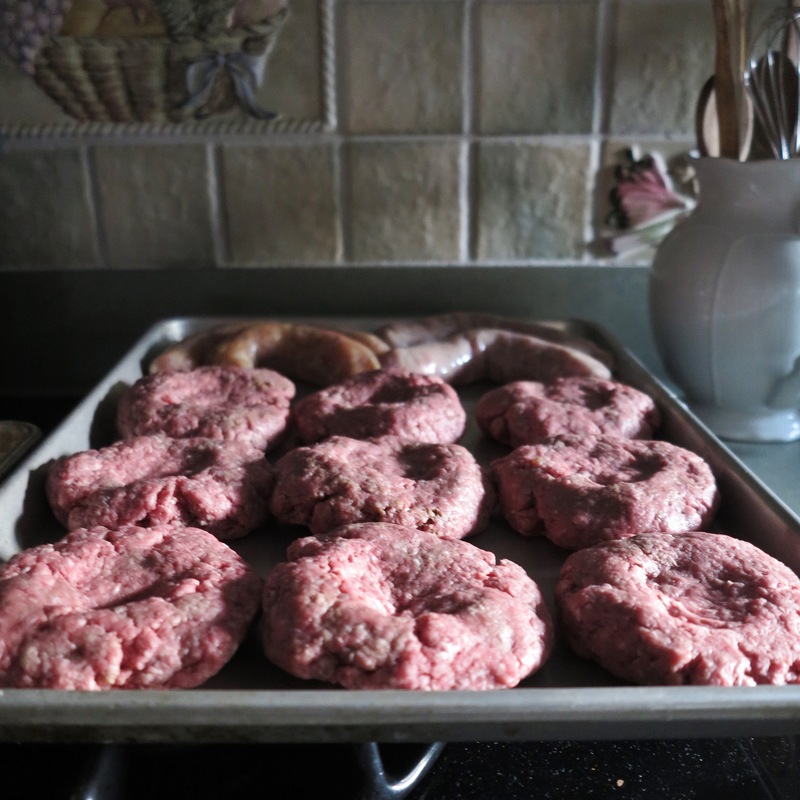 The trick is to keep it very simple: good ground beef (for this particular batch I used 2/3 ground sirloin and 1/3 ground chuck), some Worcestershire sauce, and seasoning the patties with salt and pepper right before grilling. 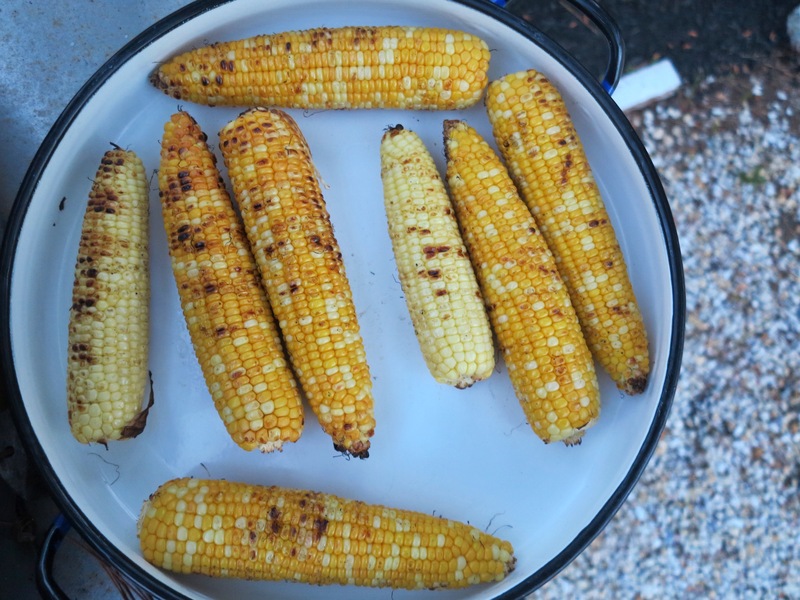 I should note that I was unintentionally grilling them over low heat (I told y’all I was still learning! And gas grills are hard!) so it took a while. 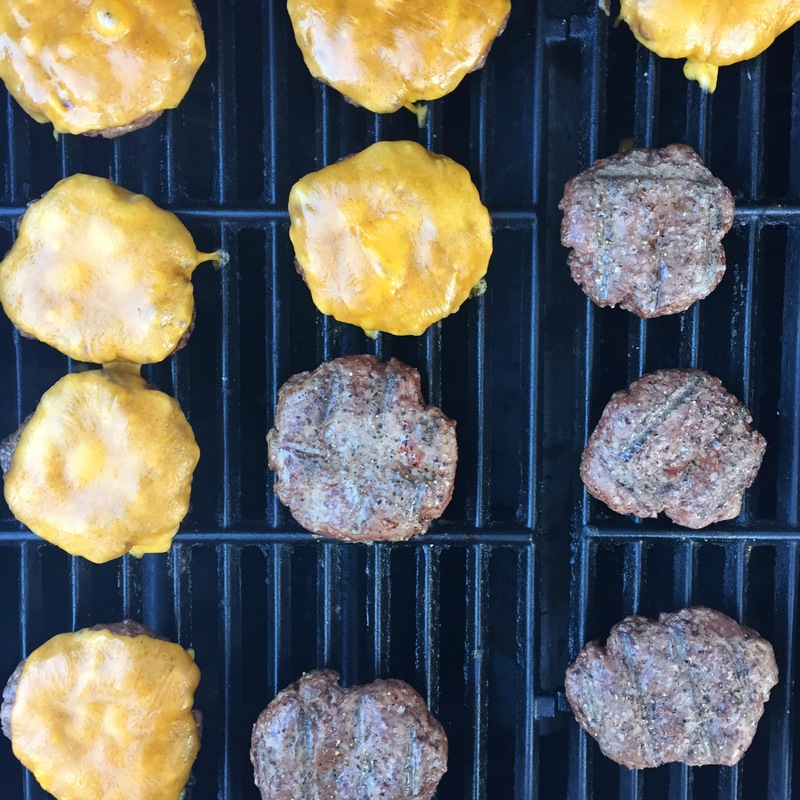 Turns out low and slow on a covered grill makes for a damn good burger. 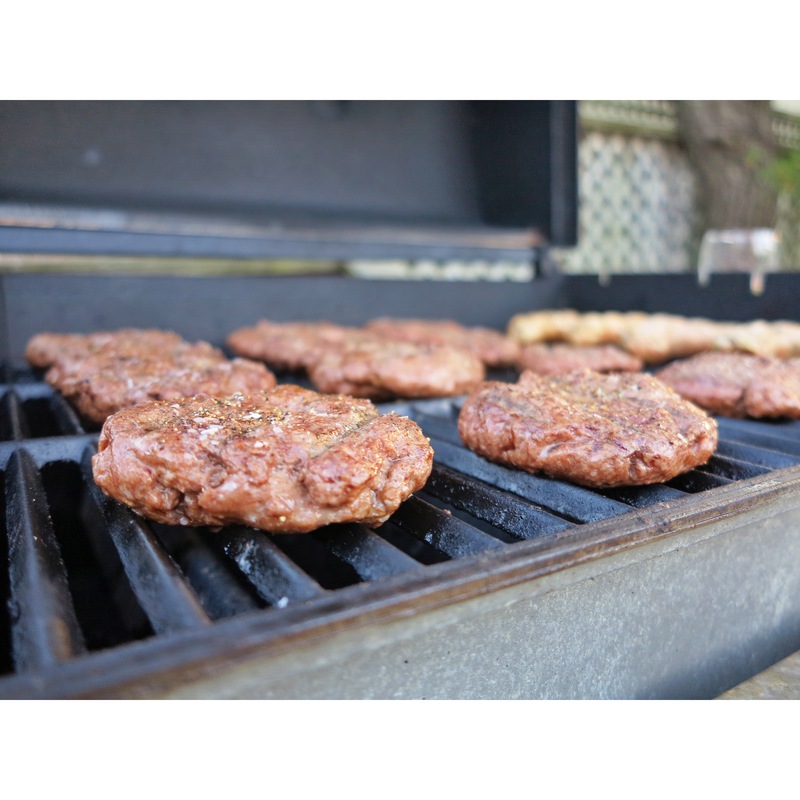 Read the best tips about grilling burgers here. 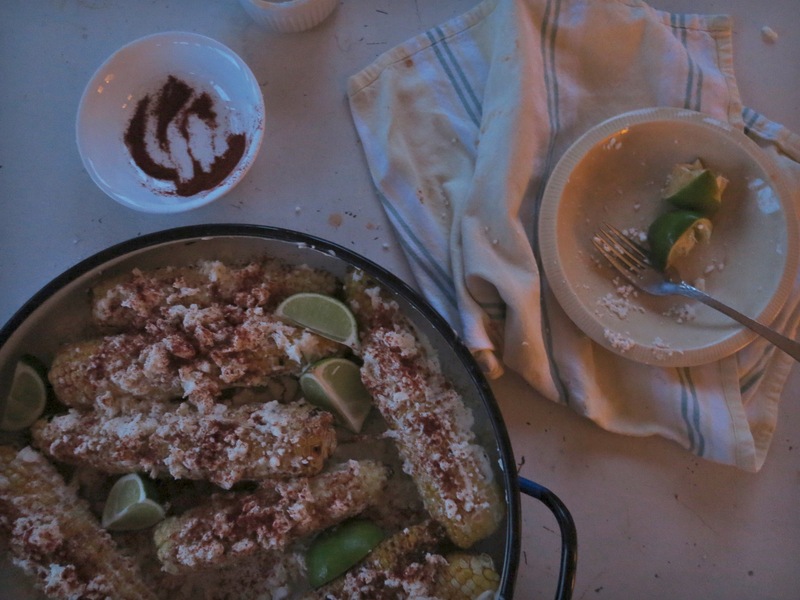 Anyway, here ya go – a relaxed recipe for elotes and a whole lot of #beachvibes. 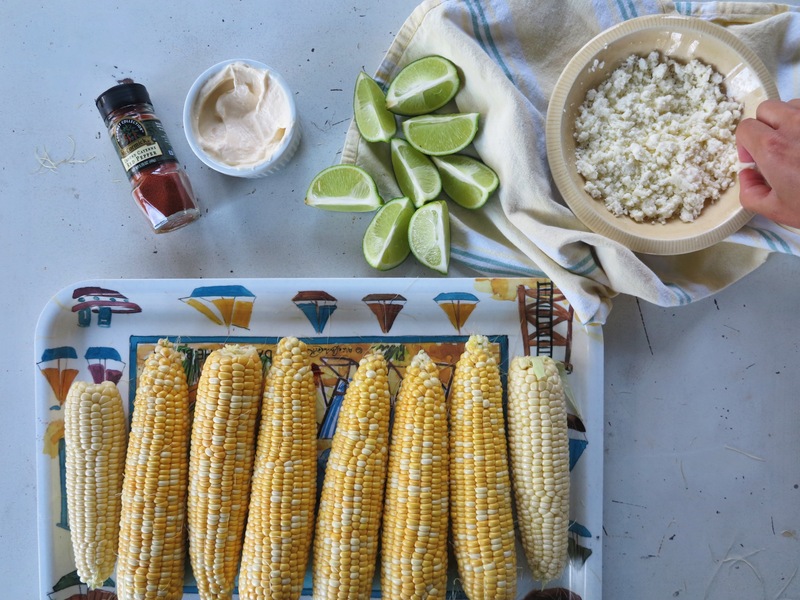 Here’s to having a wonderful summer full of #beachvibes, #beachkids, and plenty of grilling! Check out these other recipes (here, here, and here) if you’d like a more structured approach. 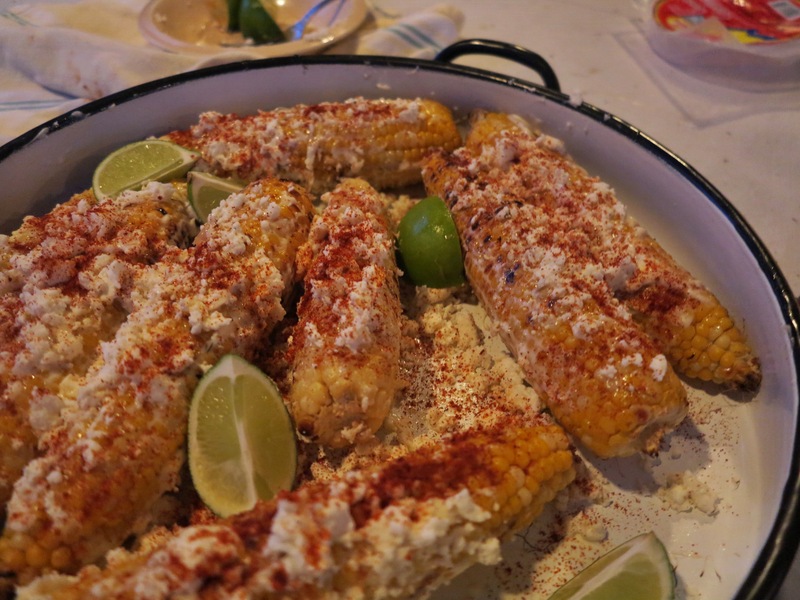 Also, if you don’t want to get too messy, I would recommend cutting the grilled corn off the cob and mixing it together with the rest of the ingredients to make a sort of Mexican street corn salad. 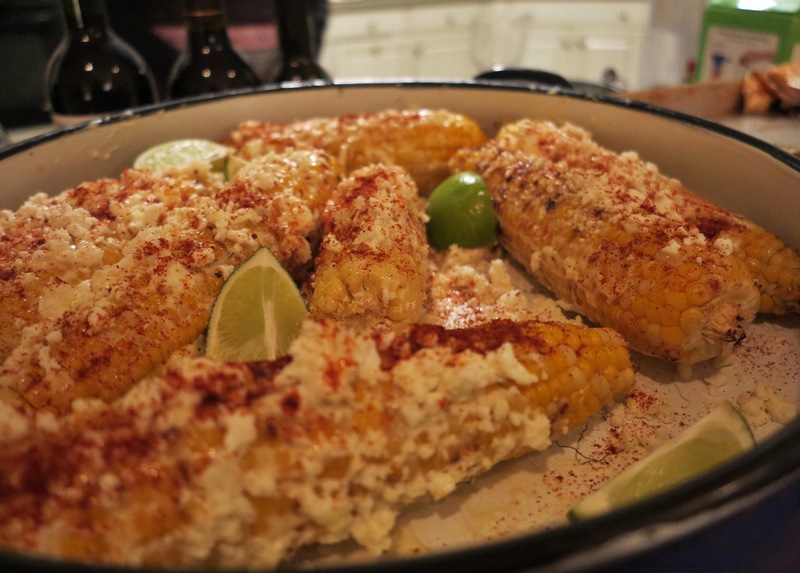 Slather the corn with mayonnaise on all sides and place on a platter. Sprinkle it with the cheese, dust with the cayenne, and spritz it with lime juice, leaving some lime wedges to garnish. 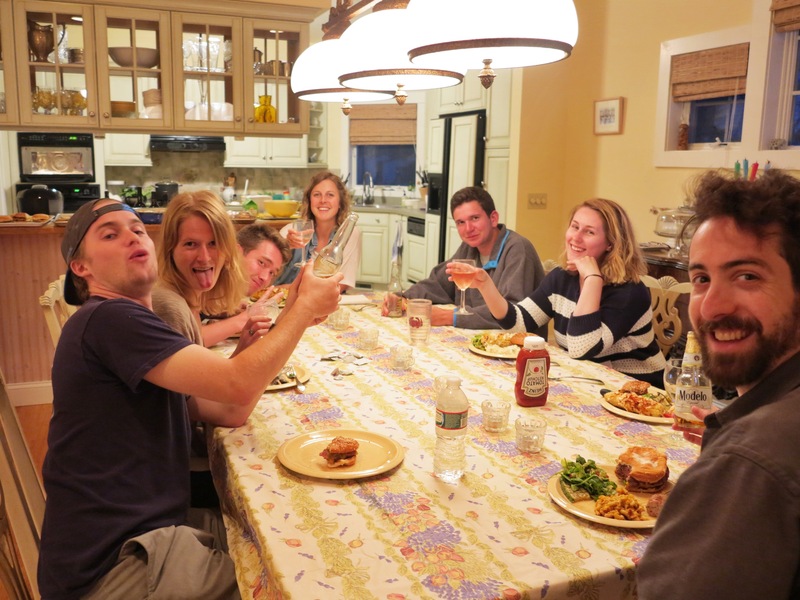 Tuck in with enthusiasm and a drink, and embrace the messiness.